Taking measures to boost your immune system is common sense first step to minimising the health risks associated with working in remote site environments. At Medilink, we recognise that adopting healthy lifestyles and diets long term as routine may need professional guidance. We therefore prepare and support our clients and their staff with occupational health services and run regular awareness seminars on diseases and health risks associated with specific climates and terrains. The most critical step, however, in preparing yourself for the demands of remote site working is to ensure you have up-to-date vaccinations. 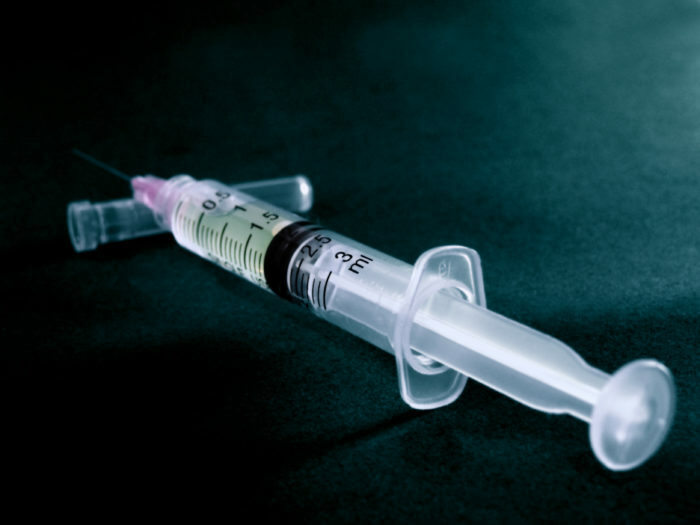 Immunisation is there to protect you from diseases which, while not perhaps common in your home or base country, are still prevalent, and potentially debilitating as well as possibly life threatening, in certain remote site environments. Certainly, immunisation is not something to be complacent about, which is why the World Health Organization holds its Immunization Awareness Week each year at the end of April. The organization stresses that vaccination is the responsibility of us all and that we should not rely on others being immunised as sufficient protection against disease. In its fact sheet ‘Myths and Facts About Immunization‘, the WHO points out that “…while vaccine-preventable diseases have become uncommon in many countries, the infectious agents that cause them continue to circulate in some parts of the world”, especially given our highly-interconnected, global lives. In Europe, where children have been left unvaccinated, outbreaks of now preventable diseases like measles have re-occurred. This example shows just how crucial vaccination is in all populations, and its importance for anyone working globally. Getting vaccinated not only protects ourselves, but also those around us. Successful vaccination programmes depend on the cooperation of every individual to ensure the well-being of all. Below, we examine two diseases as examples of how to help protect yourself from health risks in your remote site working career. The WHO’s Immunization Awareness Week is an introduction to two, separate international health campaigns running in May aimed respectively at Hepatitis and Lyme Disease; both of which are seen as long-term killers at worst and highly debilitating at best. Together, these two diseases show the two routes to protecting ourselves from disease – immunisation and common sense prevention. We document Hepatitis, its types, causes, symptoms and treatment as well as its prevention through immunisation in an earlier article. Our focus here is on Lyme disease, which is less known, often misdiagnosed and requires vigilance and common sense to prevent, not immunisation. Lyme disease, caused by the bite of an infected tick, is an acute inflammatory disease caused by the bacteria, Borrelia burgdorferi. The disease can be found throughout the world in around 80 plus countries – although it is only endemic in some – and is transmitted by different strains of bacteria and various types of ticks. It is most prevalent in humid and temperate climates; the US North-Western Pacific coast region is one such climate that sees the ticks thrive. In the United States, for example, there are two main species of tick which carry and spread Lyme disease: the deer tick or black legged tick (Ixodes scapularis). Both species of ticks are found in wooded areas. Mindful understanding of changing weather and climate is an important measure in preventing exposure to the disease. The ticks become more active during greater humidity and only practice host questing at temperatures greater than 7 °C (45 °F)*. Lyme disease, like malaria, is a disease the WHO is monitoring as part of its investigation into climate change and human health risks**. Early symptoms are mostly flu-like, while later stage symptoms, which can take months or years to be evident, include severe fatigue, mental health issues, arthritis and chronic, progressive inflammation of the brain and spinal cord (encephalomyeltits). Although, as we’ve noted, Lyme disease is prevalent worldwide and not an insignificant disease, the best preventative advice remains common sense; ensuring one wears suitable, repellent clothing while in tick-infested areas and carrying a tick-removal kit at all times. Clothing that leaves no gaps, particularly around the ankles and shins, and using recommended insect repellent can help prevent bites and infection. Light-colored clothing makes ticks easier to spot if they bite and attach. It is imperative to know how to remove a tick in entirety**** as if the head remains lodged on the skin, the tick may disgorge its infected contents into the carrier. There are widely divergent views on the treatment of Lyme disease and this has led to the International Lyme and Associated Diseases Society (ILADS) publishing updated guidelines on its treatment. While early stage Lyme disease is generally treated with a combination of antibiotics, latter-stage disease treatment relies on evidence-based, patient-centred clinical assessment to determine the optimal treatment and management of the disease. Co-author of the ILAD’s report Elizabeth Maloney, M.D. said that the organisation not only recommended clinicians perform a deliberate and individualized assessment of the potential risks and benefits of various treatment options before making their initial selection, but that there should be careful follow-up. “Monitoring a patient allows clinicians to adjust therapy as circumstances evolve. This more selective approach should reduce the risk of inadequate treatment giving rise to a chronic illness,” added Dr. Maloney. Medilink provides rigorous health risk assessments of your remote site location and offers pre- and during-employment vaccination services. Feel free to contact us on both services to ensure optimal protection of your staff. * Süss J, Klaus C, Gerstengarbe FW, Werner PC (2008). “What makes ticks tick? Climate change, ticks, and tick-borne diseases.”. J Travel Med. 15 (1): 39–45. doi:10.1111/j.1708-8305.2007.00176.x. PMID 18217868.